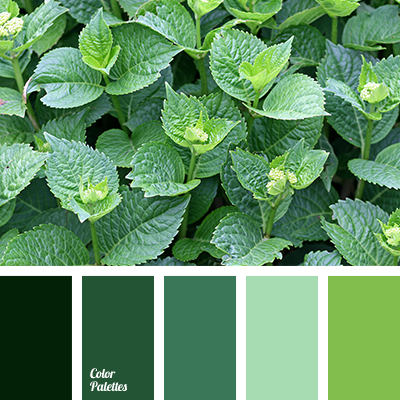 The lyrical palette, which is associated with youth and freshness. 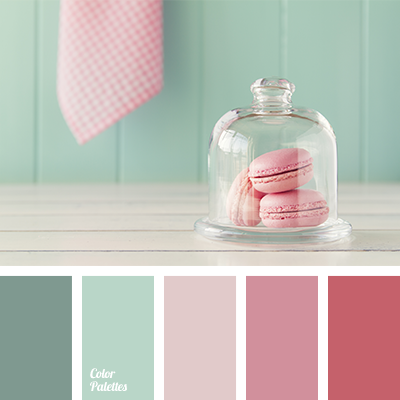 Pale green color in combination with shades of pink is perfect for the design of a girl’s room. Such tones will fill it with romanticism and dreaminess. 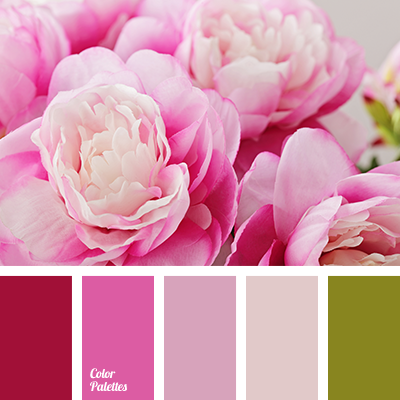 Also it is a perfect combination of colors for the decor of a wedding salon or honeymoon rooms. 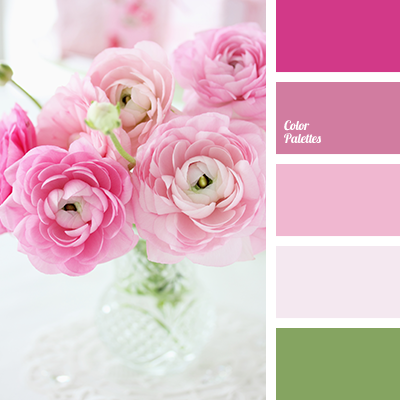 Accents in the interior can be done with a help of lush fuchsia. 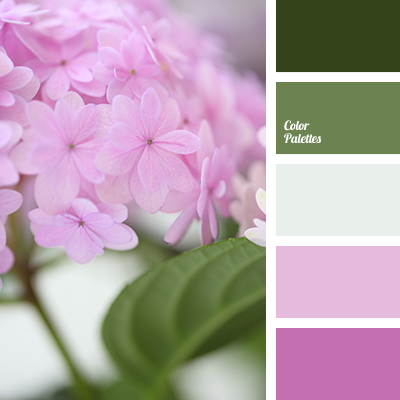 "dusty" lilac, bright magenta, color combination, color of green stems, color of greenery, dark pink, deep pink, green, light pink, lilac, magenta, pale pink, pastel pink, selection of color, shades of pink.